There was a feeling amongst those in the know that Royal Troon played a little easier than an Open Championship host venue might a fortnight ago, and while the scoring opportunities on offer helped to create that incredible battle between Henrik Stenson and Phil Mickelson on the Sunday for the Claret Jug the players can expect no such help this week at the fourth and final major of the year: the PGA Championship. 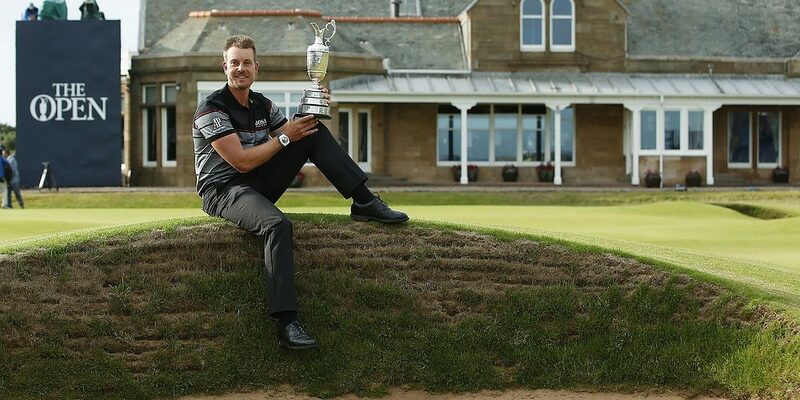 We had tipped Stenson at 28/1, so here’s hoping we can sign off the major swing in style. Held at the Baltusrol Club in New Jersey, this is a true craftsman’s course which hosted this tournament back in 2005. It ranked as the third most difficult course on the whole of the PGA Tour that season as a flavour of what’s to come, so it might be time to don the tin hats and enjoy a grindfest this week. Jason Day is the reigning champion here after a fine mid-summer last year, and while the Aussie is slightly off the boil at the moment there are plenty of other contenders both at the head and middle of the market. One of the major movers is Mickelson, who not only fully played his part in that fascinating Open Championship finale a fortnight ago, he also won this tournament the last time Baltusrol was the host venue a decade or so ago. In to 22/1 from 40s, he is well fancied this week. Remarkably, the last four majors have been won by first-time champions (Day, Danny Willett, Dustin Johnson and Stenson), so can we expect a fifth this weekend? We’ve already alluded to the fact that Baltusrol is a tough old stretch, and that is confirmed by its length (a 7,400+ yard Par 70), the highly penal nature of the rough (Phil Mickelson said in interview that if a player finds the rough here it is almost inevitable that par won’t be saved) and the ultra-slick greens (undulating, small and Bentgrass in texture). Factor in the sweltering temperatures – the mercury is expected to reach 35˚C on Thursday – and a challenging all-round test is on the cards. This stretch was designed by A.W Tillinghast, a famed course specialist who was also responsible for a number of other fine venues in the States including Bethpage Black, Winged Foot, Ridgewood and Firestone, to name but a few. Many of those regularly host tournaments that are of relevance here for their recency and style, so we’ll be dialling into those when identifying our picks. This is a long Par 70 with just two Par 5 holes, so an ability to score on some of the Par 4s – and save shots on others – will be crucial here. As such, length off the tee is good but accuracy is more vital, and an ability to plot an effective route around each hole is critical. Strategic bunkering and the kind of rough you could get lost in also mean that hitting fairways is perhaps the most important tool in a potential champion’s armoury. Other angles in include form at the WGC Bridgestone Invitational event, which is hosted by the Tillinghast-designed Firestone course and usually immediately precedes the PGA (although not this year due to the Olympics reshuffle). The last nine winners of this major had finished in the top 20 at the WGC a week prior. Also, there is relevance in US Opens of 2013, 2014 and 2016 (played on similar courses/conditions to this) and, of course, the majors of this year in identifying a potential champion. For our money, this is the hardest major of them all to pick. We have little course form to work with and a host of potential champions who are slightly off the pace at the minute – Jason Day, Jordan Spieth, Adam Scott etc – but who are more than capable of winning. At the very head of the market, Dustin Johnson is well worthy of bookmakers’ favouritism at around 8/1, but here’s a guy until recently of whom we queried his bottle for the big occasion. He’s well and truly proved us wrong, but that price feels a little short. Rory McIlroy, bubbling under nicely at the moment, is winless in the United States for quite some time now and at 9/1 looks short as a result. The midfield of the market is stacked with players who, if they play to their best and can handle the major spotlight, are also in with a decent shout. Like we say, this is a tough one to call! This is, appreciably, a bold call given that Stenson enjoyed the finest weekend of his career just a fortnight ago, but as DJ and Day have proven in the past year winning a major does not necessarily mean that the anticipated hangover of inconsistent form has to follow. The Swede featured so prominently in our research that we simply had to have him on board – despite wavering between him, DJ and McIlroy as our headline pick. Why? Because he is (now) a major winner, and he has a stack of relevant form in tournaments of a similar nature to this. He was a runner up in the Barclays event of 2015 (also played in New Jersey on a Tillinghast track), has finished in the top six in four of his last half-dozen US Open starts and has a top-ten at Firestone to his name. Statistically Stenson is on point. He ranks in the top 30 on tour for Strokes Gained: Tee to Green (7th), Strokes Gained: Off the Tee (21st), Par 4 Scoring Average (16th), Total Driving (4th), GIR (2nd) and Strokes Gained: Approach the Green (2nd), and quite frankly you will struggle to find a player with an all-round portfolio as good as that this week. Historically he is in the target group too: 70% of the last ten PGA champions had registered a top-ten in the event previously, 70% had recorded a top-ten finish in one of the year’s preceding majors, 80% were ranked inside the world’s top 25 and 90% had won that season already. Ominously for all concerned, Stenson ticks all of those boxes. We’re willing to persevere with a player who is surely a major champion in waiting – and at a very agreeable price too. Grace has recorded a string of top-five finishes in US-hosted majors (fifth at the US Open ’16, fourth at the US Open ’15 and third at the PGA ’15), and here is a guy who clearly enjoys playing on Tillinghast tracks, with three consecutive top-25 placings at Firestone a clear highlighter of that. The South African has length off the tee but is straight hitting enough too – he ranks 13th for Strokes Gained: Tee to Green, and an ability to tame Par 4s (17th for Par 4 Birdies or Better) will hand him plenty of opportunities to score on a stretch where chances to do so will be at a premium. His short game is good too, so if both components come together – and his putter is hot – there is no reason why Grace’s time can’t come at Baltusrol this weekend. Fresh from a top five finish at the Canadian Open this weekend, a course that requires a keen eye and some quality ball striking will surely play right into Snedeker’s hands. He is one of the best exponents of Par 4 mastery around (ranking second for Par 4 Scoring Average) and generally putts well on Bermudagrass/Poa Annua surfaces. He’s not a big hitter by any means, but there is one more than one way to skin a cat around tracks like Baltusrol and his exceptional iron play is one such method. Tour victories around similar stretches like Pebble Beach and Torrey Pines are testament to that, as well as a second place at Bethpage Black in the Barclays Championship of 2013. Sneds has eight top-10 finishes to his name in majors but oddly none in the PGA Championship. With conditions expected to favour him, expect Snedeker to change that this week. The last of our long-price picks who we hope can take on the big boys is Charl Schwartzel, and in a former major winner that has finished in the top-25 in each of his last six outings worldwide we are happy to place our trust. The South African is another excellent all-round proposition this week: he has major pedigree (one title, four top-10s in all), current form (11-23-7-18, a run which includes the US Open and Open Championship) and a statistical make-up (ninth for Shots Gained: Tee to Green, 26th for Par 4 Birdies or Better, 16th for GIR, fifth for Strokes Gained: Approach the Green) to be reckoned with. Prior top-10s at Tillinghast stretches (fourth and seventh at Firestone in 2014 and 2016) plus relevant major performances – seventh at the US Open ’15, 15th at The Open ’13 – add further intrigue to Schwartzel’s chances this week. Type of Bet: Match Preview. Sports: Golf.